Gaijin Entertainment show no signs of letting up when it comes to refining and adding to their multiplayer vehicular warfare sim, War Thunder. Nearly five years on from its Early Access launch and well over a year since the colossal 1.0 update, the game is still being improved, with the latest update making huge changes to graphics, audio, and gameplay. This dedication is all part of a promise to ensure War Thunder remains every bit as powerful and impressive as its name suggests. As part of that, a bevy of new tanks and aircraft join the fray as part of this new era for War Thunder, with a hefty emphasis on modern machines of war. So whether you are a devoted player, lapsed, or even if this is the first you have heard of War Thunder – here are four huge changes arriving with the 1.77 Advancing Storm update. 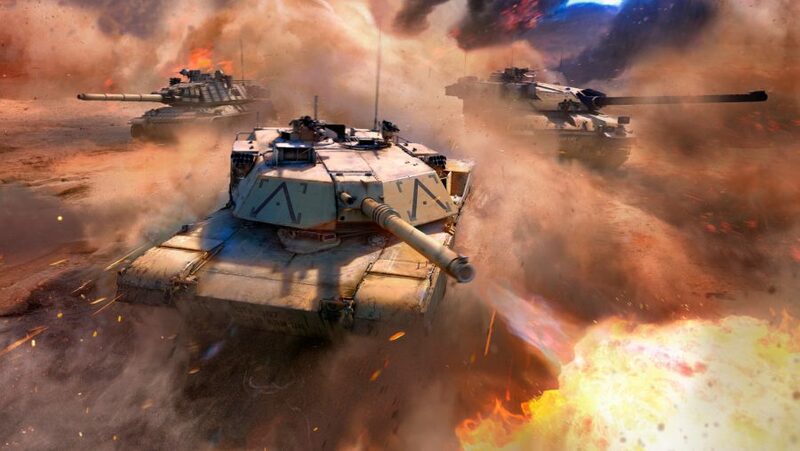 Advancing Storm brings War Thunder’s Ground Forces mode well and truly into the modern era with the addition of seven main battle tanks from the ‘70s and ‘80s, some of which are still in active service around the world. Better still, nearly every research tree is getting a new tank to work towards and unlock. For the USA, the legendary M1 Abrams takes its rightful place at the top of Rank VI. Realistic details such as its separate storage for ammo containers are present and accounted for in-game, meaning you can keep fighting even after a fire has broken out in your ammo racks. France gets the highly advanced AMX-30B2 Brenus, which stands out with its 112 reactive armour packages, ensuring all of your key areas are protected from HEAT projectiles. The T-64B modernises the Soviet research tree, improving on one of the best tanks in War Thunder with better frontal armour and the ability to fire Cobra guided missiles. 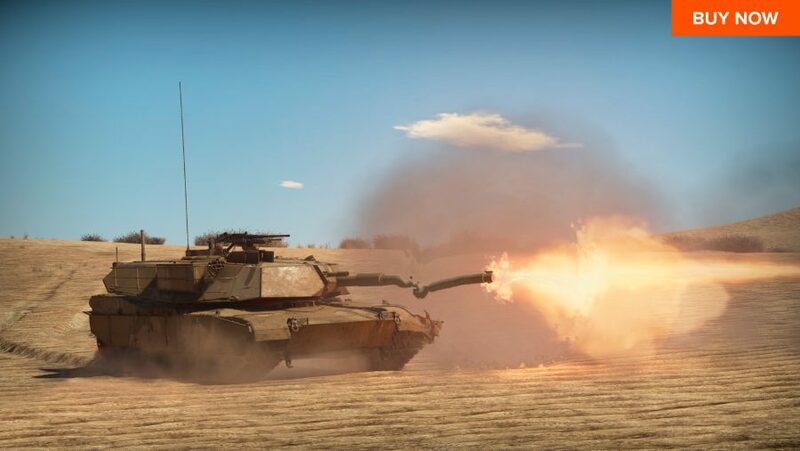 Britain gets the beloved Challenger MBT as its new best-in-class Ground Forces vehicle – its massive armament and Chobham armour get the job done. Finally, the Leopard 2K joins Germany, offering prospective Rank VI tankers a big gun, high manoeuvrability, and one of the best stabilizers in the game for landing shots on the move. If you don’t fancy earning your way to the top of each research tree then you can always pick up Advancing Storm’s two new premium tanks, the Magach 3 from USA or the AMX-30 from France. Volumetric fog and smoke, dynamic weather effects, realistic and detailed ground surfaces, reactive water and puddle reflections. 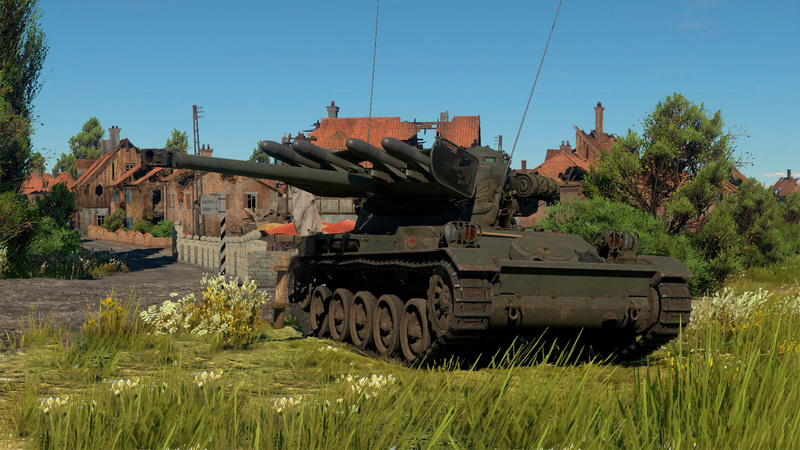 War Thunder is more striking and lifelike than ever before thanks to Dagor Engine 5.0. These changes are most apparent in Ground Warfare, where every detail – from the smoke that plumes from your tank’s exhaust, right down to the water that pools up in tyre and track marks – brings a new level of visual fidelity to tank battles. 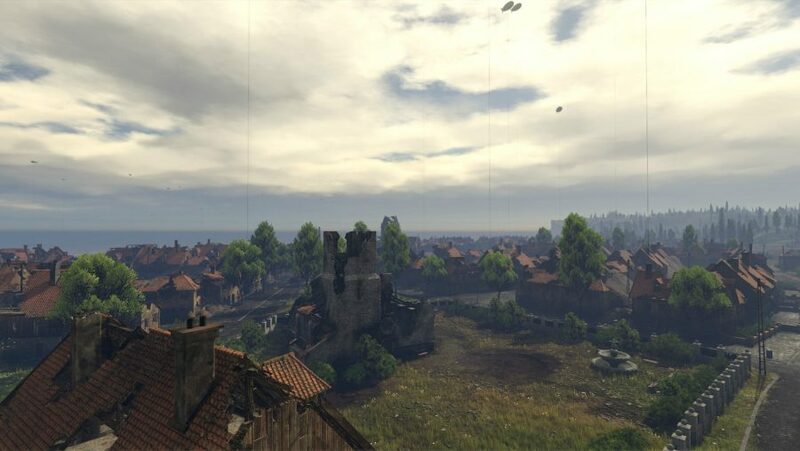 Whether rolling through the rain-soaked, cobblestone streets of Normandy, or cresting a hill and looking out onto a foggy valley in Mozdok, the visual enhancements of Dagor Engine 5.0 are noteworthy. But the graphical improvements are not just great for in-game war photographers, as changes such as new anti-aliasing technology should improve gameplay by making it easier to distinguish enemies in thick foliage. Dagor Engine 5.0 isn’t just about good looks as it also overhauls the sound of warfare. New sounds have been implemented to reflect minute differences in cannon calibres, helping experienced tank commanders glean useful information about the enemy they are facing off against. Bespoke loading mechanisms, the jangling of shell cases tumbling onto the floor, ultra-low frequencies for explosions, cannon shots, crumbling structures – the sound of combat is richer and deeper in Advancing Storm. The realism goes so far that what you hear also differs based on what the tank commander’s perspective is. For example, when operating from a third-person-view tank, the sound of firing your main armament will linger for much longer, echoing across the map and rumbling through the ground. However, while firing from the first-person perspective, the roar of the cannon will reverberate many times over as it would in such a confined space. Gaijin Entertainment have taken this a step further, too, making it so the sound changes based on whether or not your tank crew are operating from a closed or open cabin. If you prefer to spend your time in War Thunder dogfighting high above the battlefield then there’s good news: update 1.77 adds a suite of new jet fighters for aerial aces to unlock. 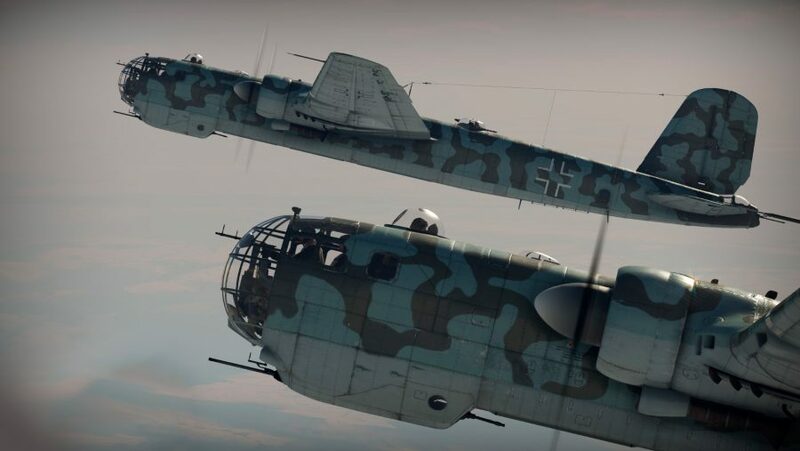 All seven War Thunder nations are getting new aircraft with the launch of Advancing Storm. USSR, for example, get an unusual interceptor called the La-200, which boasts twin jet engineers placed in tandem, one behind the other. The M.D.452 Mystere IIC joins France, its thick armour and wide range of armament options providing you with a versatile jet fighter that is as good against ground targets as it is against other pilots. Japan might not get a jet fighter, but the Ki-108 makes up for it with pressurized cabin for high altitude flying and powerful cannons – it was designed for taking down US superfortresses and should serve you exceptionally well against such foes. Perhaps the most interesting new aircraft of update 1.77 is actually the one made by a War Thunder player as part of the Revenue Share Partner Program. The He 177A-5 Greif is a deceptively fast long-range heavy bomber with a huge selection of bombs and cockpit-controlled remote gun turrets for fending off heavy fighters.